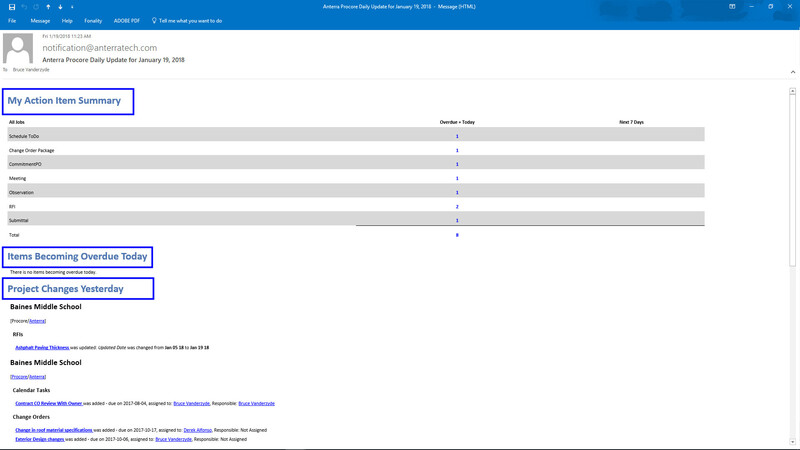 We have pre-built and build your own drill through reports and analytics that connect to your Procore and your Sage 300 / Viewpoint Construction Data. Anterra provides enterprise quality construction and financial reporting to you at a fraction of the cost. We deliver world class reporting across your organization. 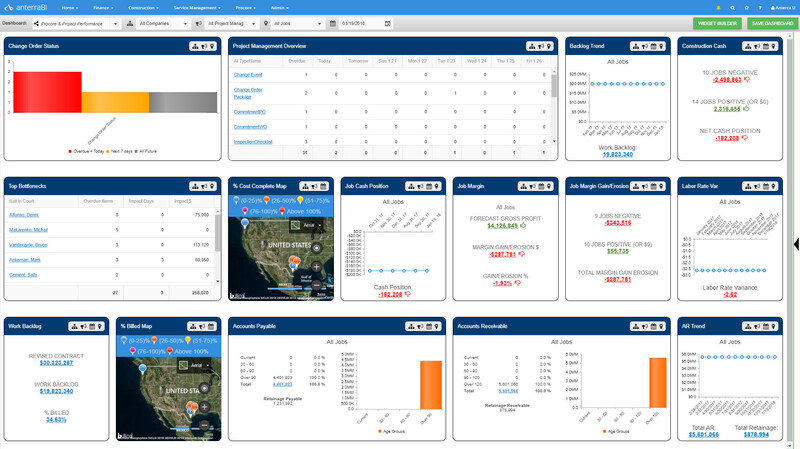 anterraBI™ contains drill through dashboards, grids, financial statements, scorecards and analytic tools to quickly see where you are performing outside of your plan. 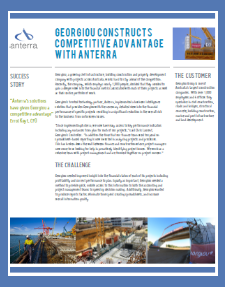 With Anterra you are finally report across your two major construction systems. You can build any number of dashboards and share them with other users or build them for yourself. 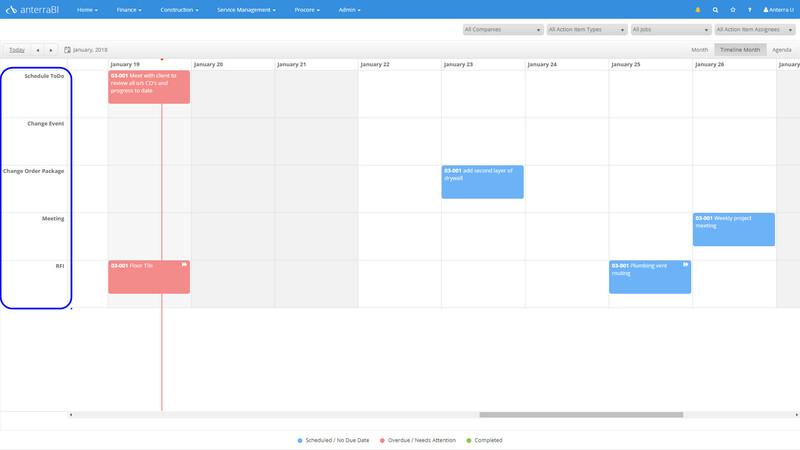 With Anterra you can instantly see all of your project management items on a calendar by due date. 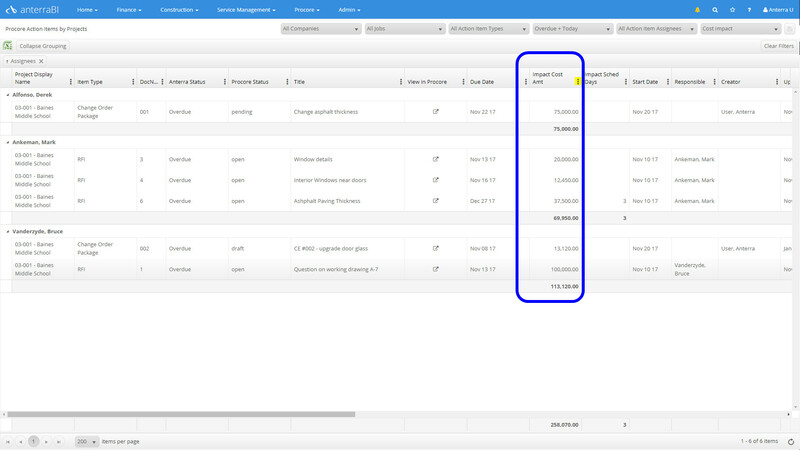 Each item can be opened to see the details, then immediately opened in Procore to edit. 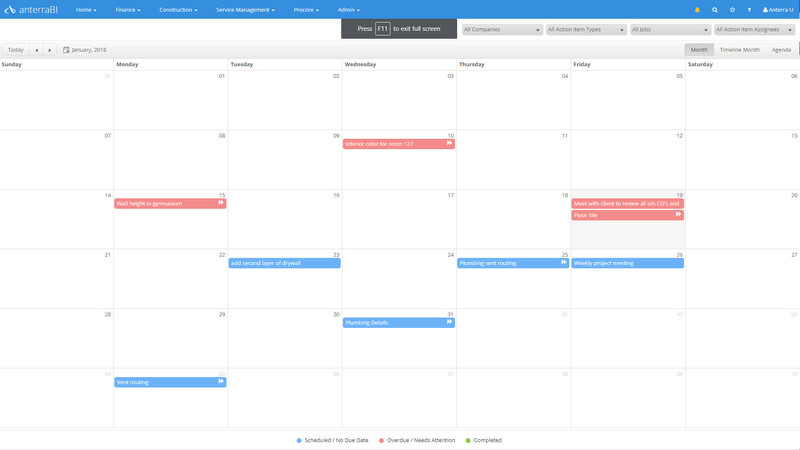 If you drag an RFI on the calendar you will update the due date in Anterra AND Procore. Project Managers are overwhelmed with information. Keeping track of every change as it happens is impossible. Anterra has developed a daily summary email to solve this problem. There are 3 sections: My Action Item Summary, Items Becoming Overdue Today and Project Changes Yesterday.